Hawaii's magical Valley Isle brings in travelers from all over the world to bask in its stunning natural beauty and laid-back atmosphere. Equal parts excitement and relaxation, Maui has something for everyone, and a timeshare on the island can help you discover its charms each and every year. Browse Maui timeshare resales and rentals and save up to 70% off with SellMyTimeshareNow.com! What’s My Maui Timeshare Worth? Split into two halves, Maui, Hawaii features a number of notable vacation attractions and destinations. While South Maui is home to the towering peak of Haleakala and the beaches of Wailea, West Maui proudly displays a peak of its own in Puu Kukui and the luxurious Maui timeshare resorts in Lahaina and Kaanapali. With a number of diverse ecosystems ranging from rainforests along the North Shore to semi-arid beaches in Makena, Maui offers endless opportunities to hike, zipline, sail, and you guessed it—surf. Whether you want to snorkel in the Molokini Crater, trek through the West Maui Forest Reserve, or simply lounge beachside with a cold cocktail, there's a dream vacation for you on Hawaii's crowning jewel. Many Maui timeshare resorts are located on or around the beach, mostly on its southern and western coasts. Kihei hosts a number of properties close to more urban attractions, while the resort areas of Lahaina, Kaanapali, and Kapalua are home to massive resorts that offer everything you need or want right on-site. Westin champions several notable properties in the area, including the hugely popular Westin Ka'anapali Resort. Maui timeshare rentals or resales can help you save thousands off your future vacations, leading you to cost-efficient solutions on the island every year. A Maui timeshare resale can change the way you vacation forever. If you're ready to learn more about how to make your Hawaiian vacation dreams a reality, fill out the form on this page or call a representative at 1-877-815-4227. Many timeshares in Maui are designed to maximize space for you and your group. Typical accommodations include private lanais, kitchens, and more. Exchanging your timeshare through RCI or Interval International can open up more ways to enjoy your vacation ownership. West Maui is home to a large majority of timeshare resorts on the island, while other locations like Kihei boast resorts of their own. Maui timeshares come in all different shapes and sizes, but the opportunity to save is all the same. Each one offers a certain luxury that you won't find at most hotels on the island, including on-site restaurants, instant beach access, and plenty more. Maui is a hugely popular travel destination, with its simple natural beauty attracting families, honeymooners, and more. 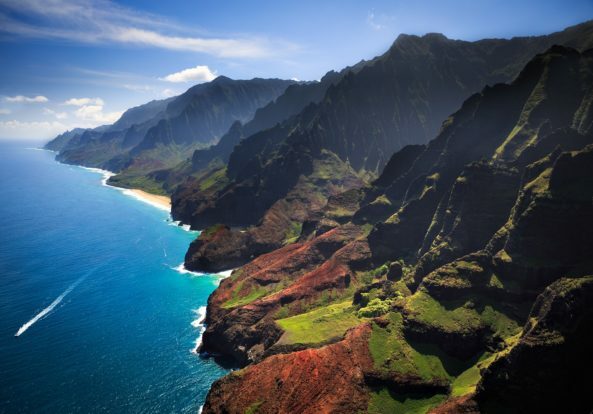 Trek to the top of Haleakala for incredible views from 10,000 feet, snorkel in the Molokini Crater, or find an authentic luau for dinner and a show. The Orlando area is home to thousands of lakes, where vacationers can swim, water ski, parasail, snorkel, and more. Find airboat tours and ziplining in nearby Osceola County, or go fishing on Lake Buena Vista. The Road to Hana is a 64-mile stretch from Kahului to Hana in east Maui, and provides some of the island's best sightseeing. Discover cliffsides featured in Jurassic Park, the peninsula at Ke'Anae, the black sand beaches at Waianapanapa, and more. The Valley Isle is also noted for its whale watching opportunities, thanks to the droves of North Pacific humpback whales that migrate to the island's waters each year between December and March. Hop aboard a whale watching vessel to spot one of the majestic creatures! Maui is rife with opportunity for avid hikers, with plenty of peaks and jungle trails to conquer. Finish the Road to Hana to trek to the Seven Sacred Pools at Ohe'o, or traverse any number of trails throughout Haleakala National Park. While in most cases you won't have to travel far from your resort, it is a good idea to keep a rental car nearby in case you need to travel. Most Maui attractions offer shuttle services that will pick you up at your resort, making adventuring easy and carefree! No longer using your Maui timeshare ownership? Advertise it to interested vacationers across the globe. Can't use your Maui timeshare this year? Add it to our marketplace to help cover your annual costs of ownership. Already Own a Maui Timeshare?